It’s easy to take something as important as your vision for granted. It’s something you’ve had your whole life–just like breathing, your vision is a natural and fundamental part of your daily existence. So much, in fact, that it can be easy to forget that you need to protect and maintain it. A loss of vision quality can lead to a significantly lower quality of life if left untreated. Unfortunately, there are far too many people who don’t give enough attention to their failing eyes when things start to go bad. At Broadway Optometry, we’re committed to helping the people of Chula Vista and San Diego know how easy and affordable it is to improve their vision, and we’re here to help every step of the way. When asked what comes to mind when they hear the word “eye exam,” most people would probably describe the classic distance vision test. You know the one–that good old iconic poster with the giant E. However, there’s a whole lot more to testing vision than just reading letters off of a board, and at Broadway Optometry, we’re proud to offer a comprehensive vision exam that goes much deeper than the classic distance test ever could. There are several factors that impact the quality of your vision, all of which are covered by our eye exam. Eye alignment, movement tracking (ocular motility), depth perception, light reflection, and refraction all play into your eye health. While it’s easy to just think of vision problems coming down to near and far-sightedness, the reality is that they extend into many more aspects of our life. Someone with poor ocular motility might blame their athleticism for the reason they’re bad at sports, when it might actually be due to their inability to effectively track moving objects. A problem in depth perception (being able to perceive the relative distance of objects in a 3D space) could lead to a fatal car crash. At the end of the day, having poor vision impacts your life so much more than having to squint to read fast food menus. It may be affecting you in ways that you haven’t even noticed, which is why we recommend you meet with one of our qualified eye doctors and take a comprehensive exam. As a small, local, family-owned business with over two decades of experience serving the community, we care about every person who walks through our doors and we pride ourselves on offering legendary customer service that truly puts your needs first. And of course, we believe that everybody has the right to good eye health, not just the people who have a lot of money. That’s why we work to make our vision care affordable and competitive. We accept most insurance providers, and our goal is that your entire family will be able to afford our services. Treasure your vision–it’s one of the most important gifts that you have. 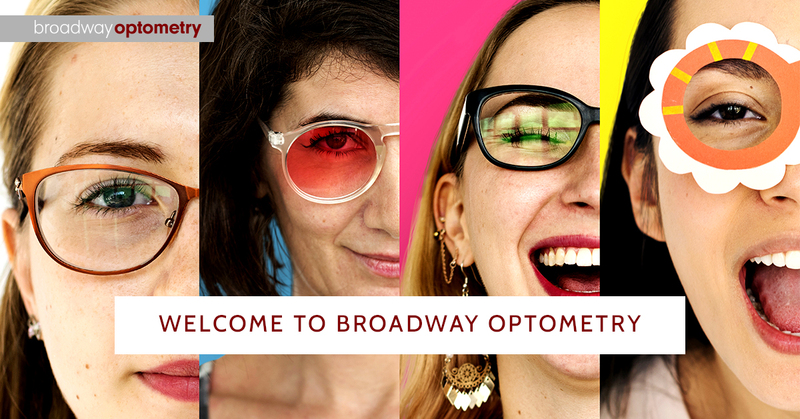 At Broadway Optometry, our eye doctors are looking out for you. We are proud of not only offering incredible comprehensive exams that will address your every need, but also of our incredible customer service that gives you the treatment that you deserve. But don’t take our word for it, see what others are saying about us. Whether your vision is nearly perfect or you feel like you’re practically blind, we’ll give you a comprehensive assessment of your eye health and offer our best solutions. So, what are you waiting for? Schedule an appointment with us today. It’s never too late to start caring for your eyes.